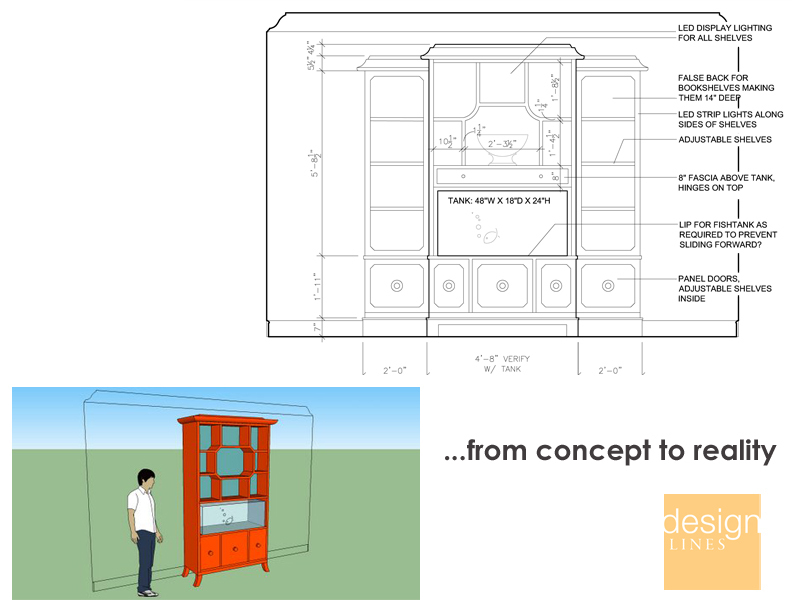 Current Project: Taking a Design from Concept to Reality | Design Lines, Ltd.
Our biggest challenge was how to put a fish tank in a living room and make it “fit in.” Judy created this multi-functional display and fish tank cabinet to meet the clients NYC lounge vibe. We took what could have been a standard cabinet and made it truly unique. 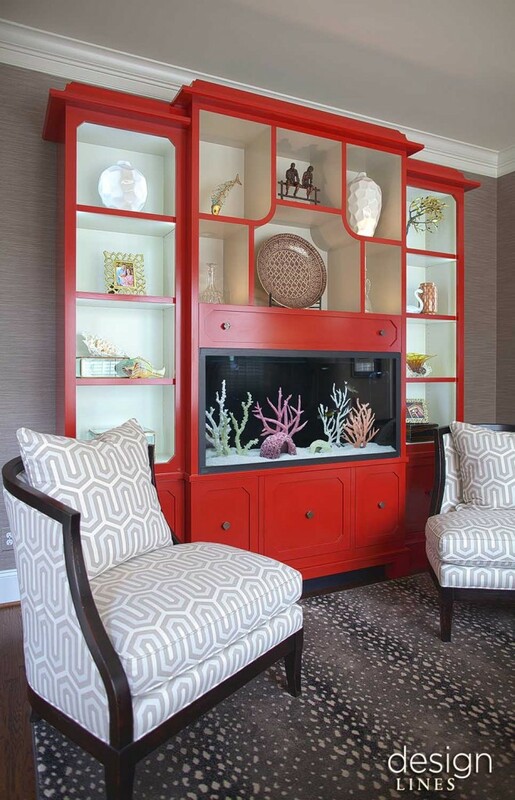 We added a vibrant coral color, dim-able LED lights, ventilation and water-proof materials to sustain the wear and tear of the fish tank. Below is a sample of our rendering capabilities and what we are able to do during the creative process. 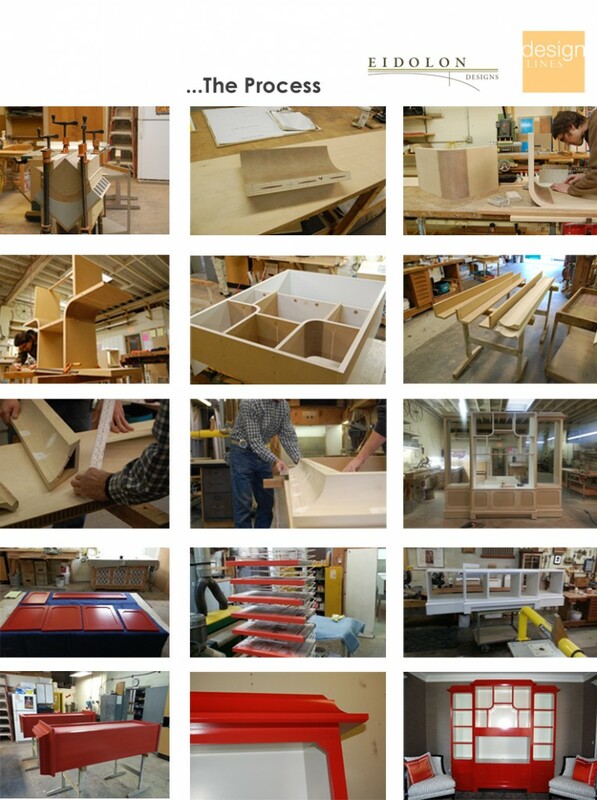 Eidolon Designs captured these amazing photographs of the millwork and building process. After several design iterations with our client, Judy, and Eidolon Designs, the concept became a reality.